CITY of Plymouth trampolining star Ben Miller made an impressive start to the 2019 season by winning a bronze medal at a top international event in the Netherlands. 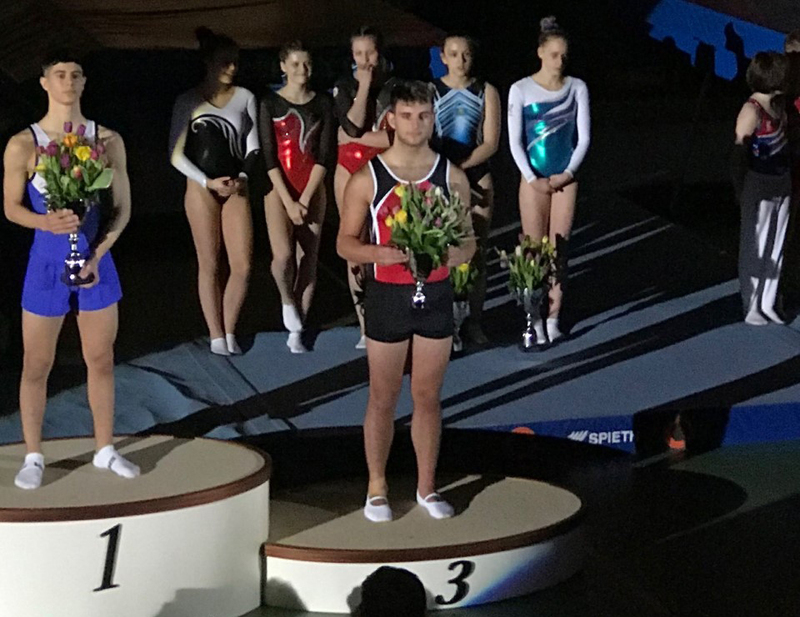 Miller found himself coming up against many of Europe’s top junior trampolinists at the Aalsneer Flower Cup, which was his first competition of the year. More than 400 competitors attended the event, with Miller taking part in the boys’ 15-16 age category. The Year 11 Plymouth College pupil qualified through to the final by finishing in the top eight in the prelims before holding his nerve in the final to take bronze behind Italy’s Samuele Patisso Colonna and Kazakhstan’s Yerlan Tasmagambetov. Miller and the rest of his City of Plymouth team-mate are working hard to prepare themselves for national championships and international competitions later in the season.